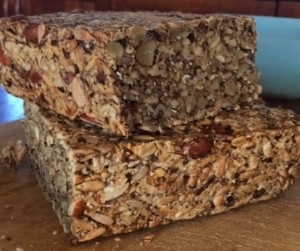 This delicious bread is made with wholegrain nuts and seeds, and if you wondering how it binds together so will - the trick is asylum husks and water. Its high in protein, healthy fats and very high in fibre. It also goes well with almost any toppings/fillings or even on its own - YUM!